Compare key 2018 figures to the figures from prior years. At the Annual General Meeting on 20 April 2018, Karen Gavan, Eileen Rominger and Larry Zimpleman were elected as new non-executive and independent members of the Board of Directors for a one-year term of office. With these changes, the Board of Directors aims to safeguard the stability of its composition while also renewing the Board in a sensible way. At the same time, the shareholders re-elected Walter B. Kielholz (Chairman), Raymond K.F. 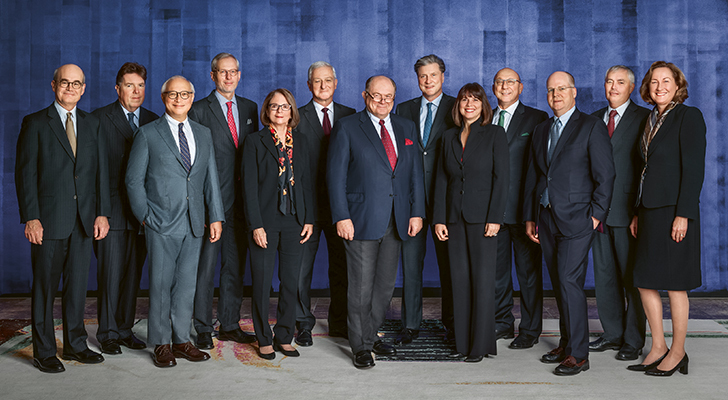 Ch’ien, Renato Fassbind, Trevor Manuel, Jay Ralph, Joerg Reinhardt, Philip K. Ryan, Sir Paul Tucker, Jacques de Vaucleroy and Susan L. Wagner for a one-year term of office as members of the Board of Directors.